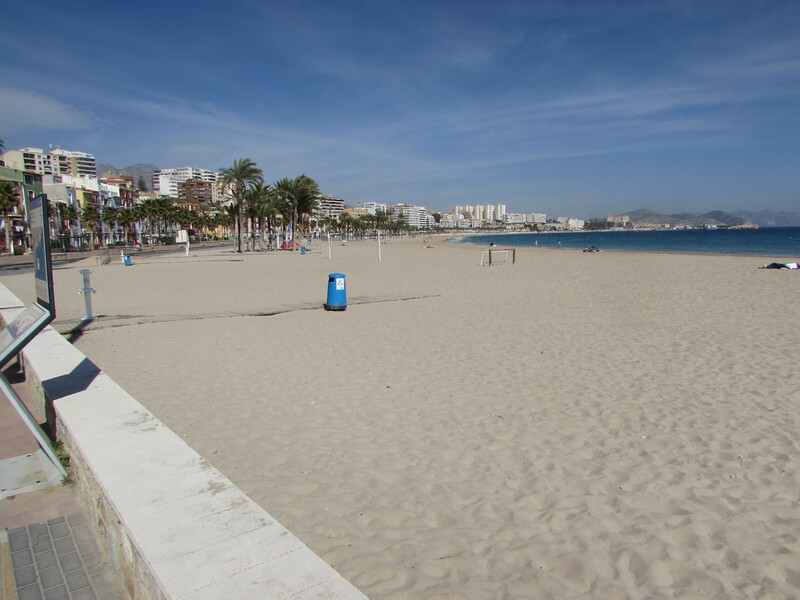 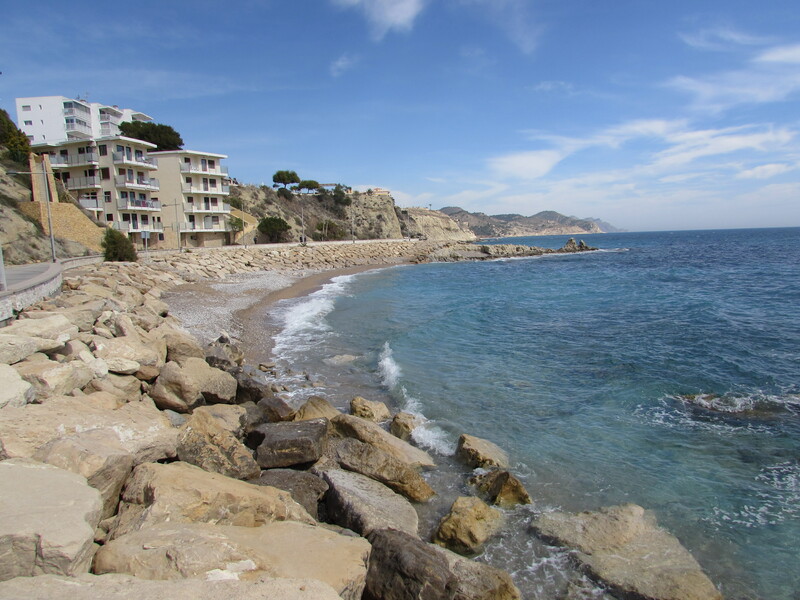 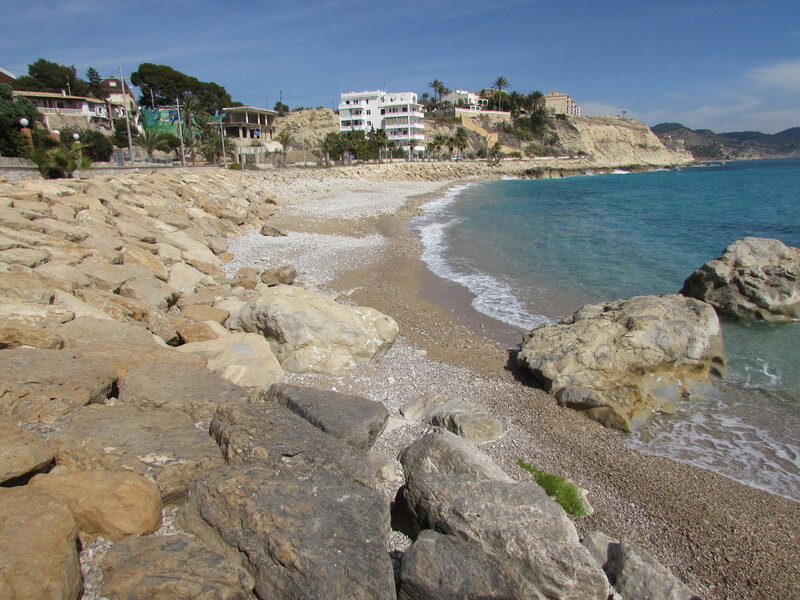 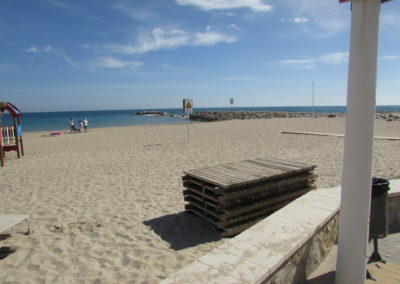 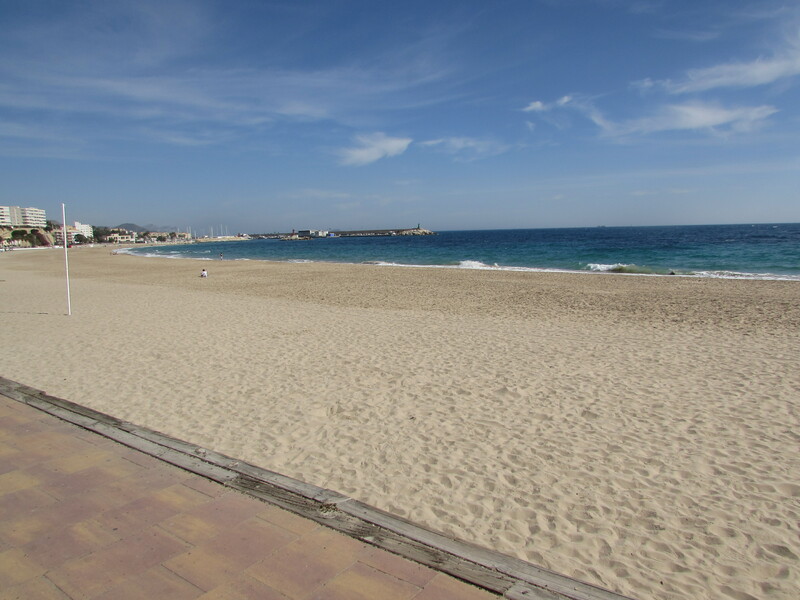 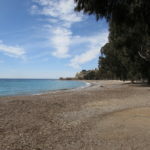 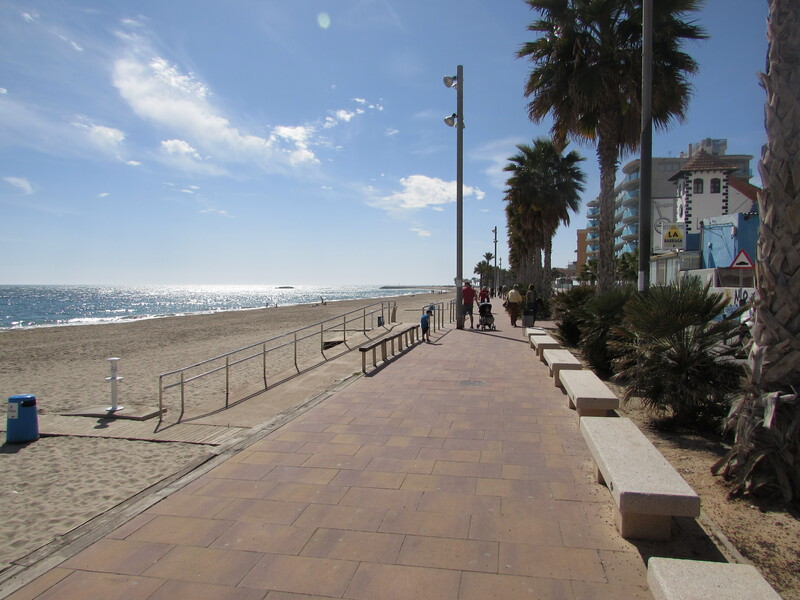 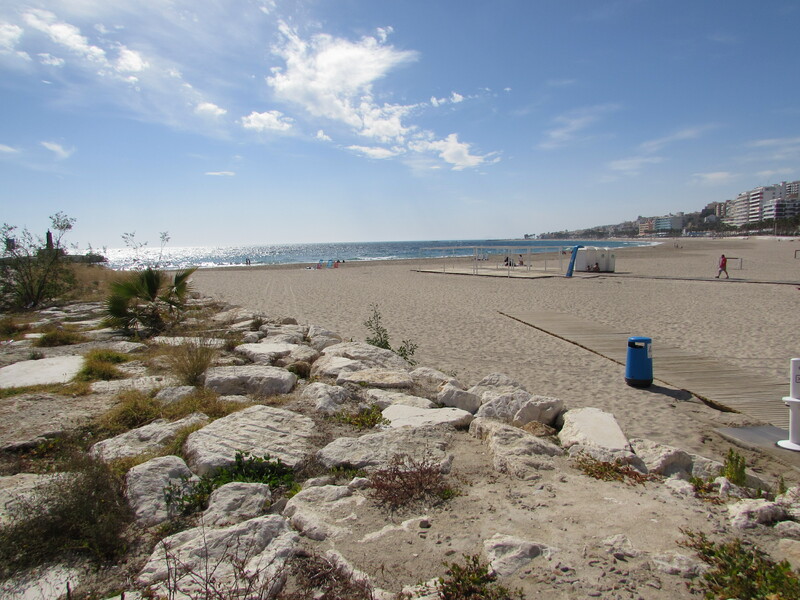 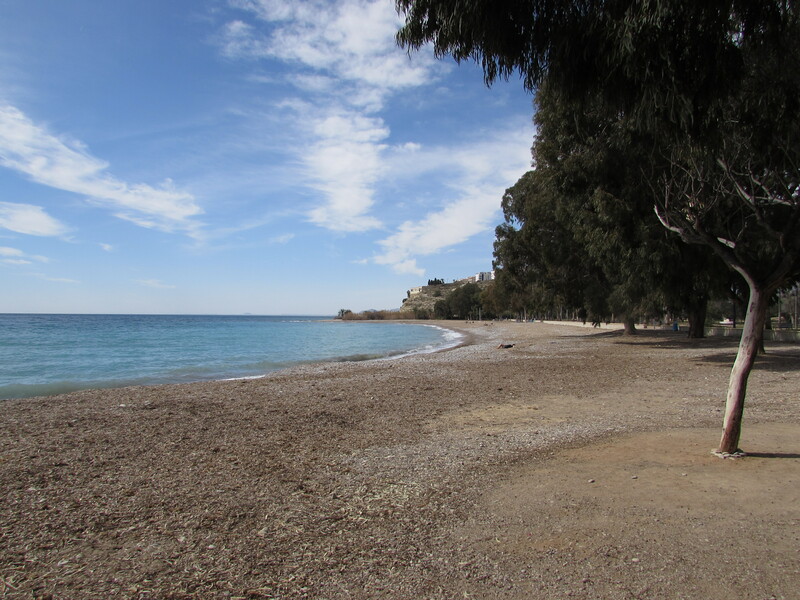 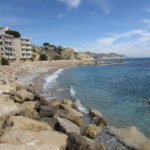 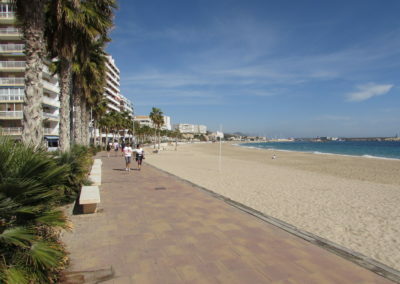 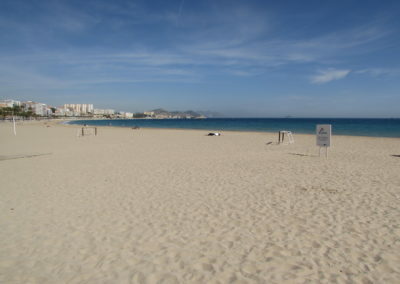 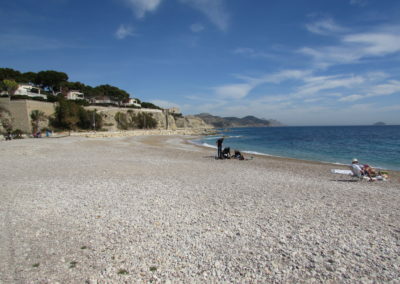 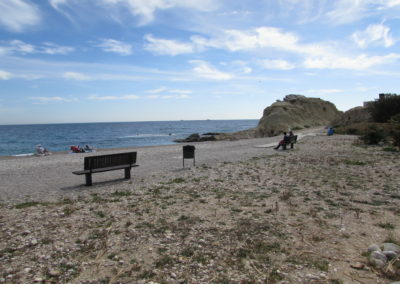 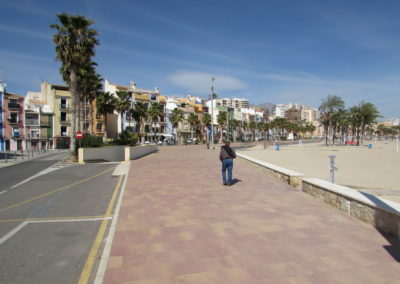 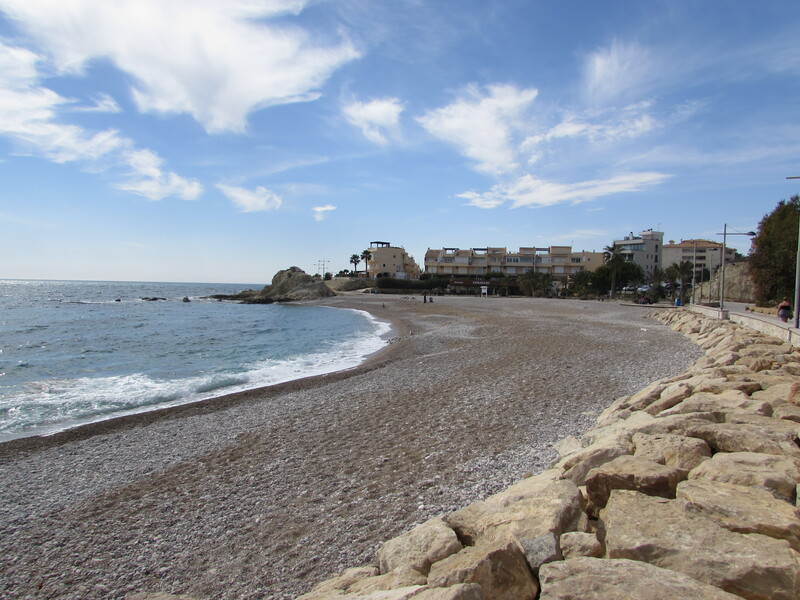 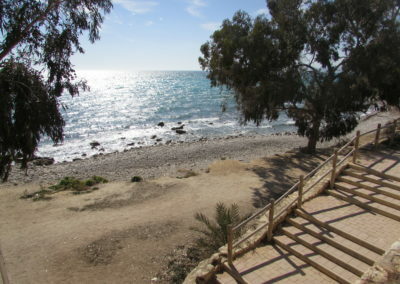 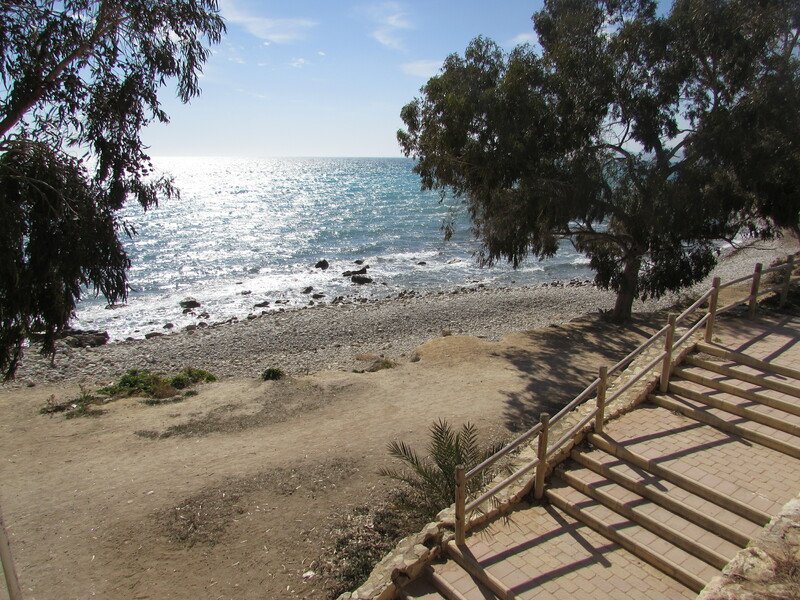 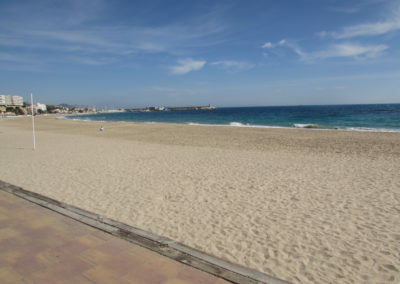 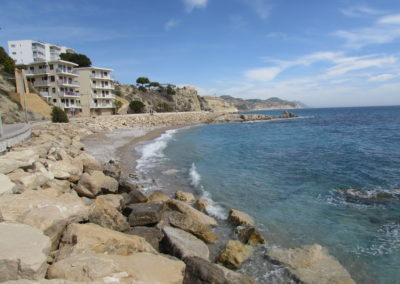 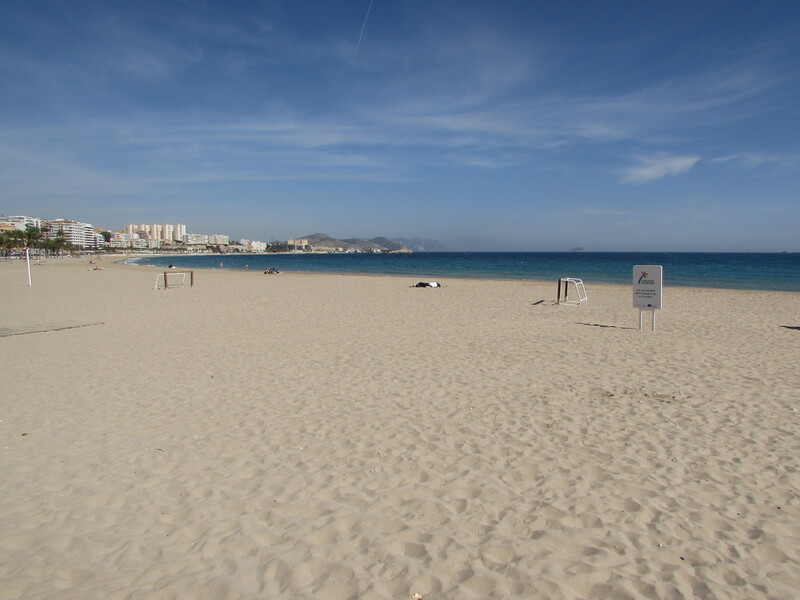 The magnificent Playa Central of La Vila Joiosa runs for a couple of kilometres from the old part of town down to the harbour and then beyond where the three secluded coves of El Varadero, Estudiantes and Tio Roig beaches are located. 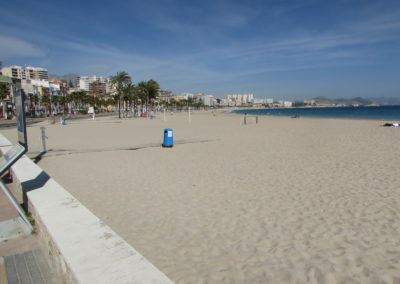 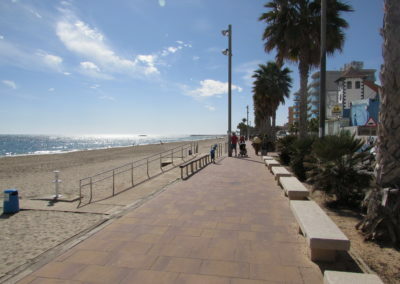 ...and even in summer it never gets to silly-crowded status , like Benidorm. 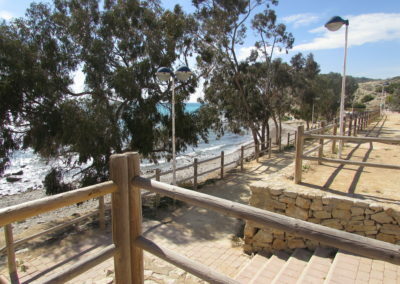 Photo in March - the wooden boardwalk already waiting for the summer.. 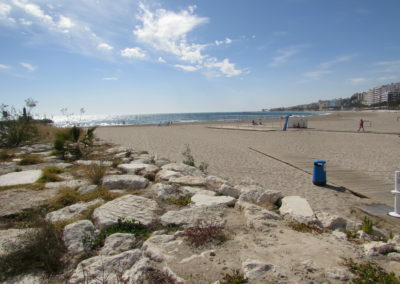 This end of the beach has disabled access in the summer months. 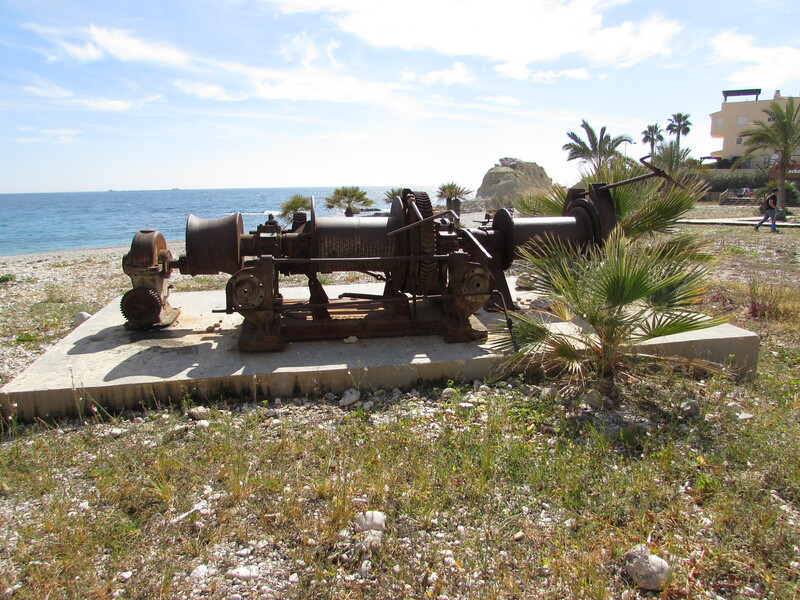 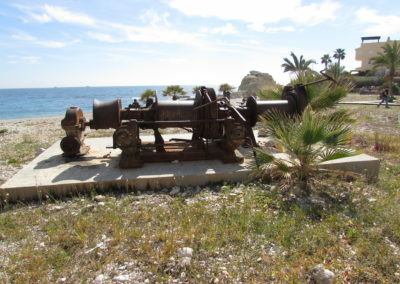 Varadero beach was once a shipyard - this is what's left. 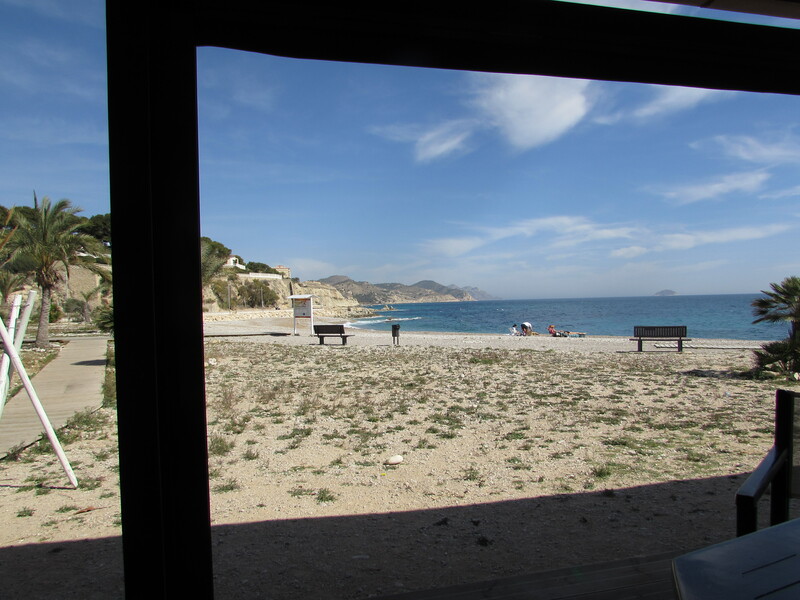 From inside the Varadero Chiringuito. 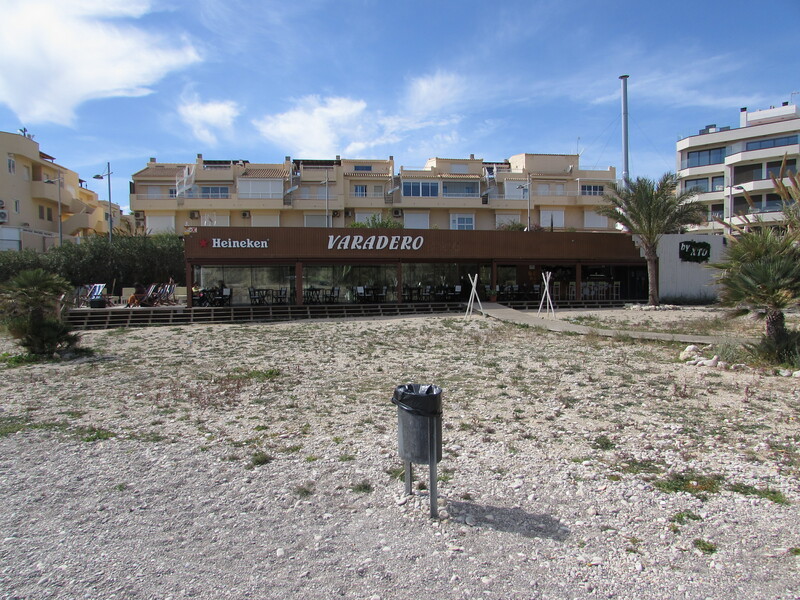 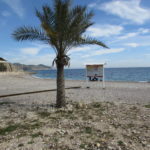 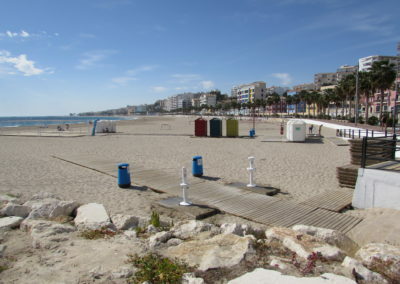 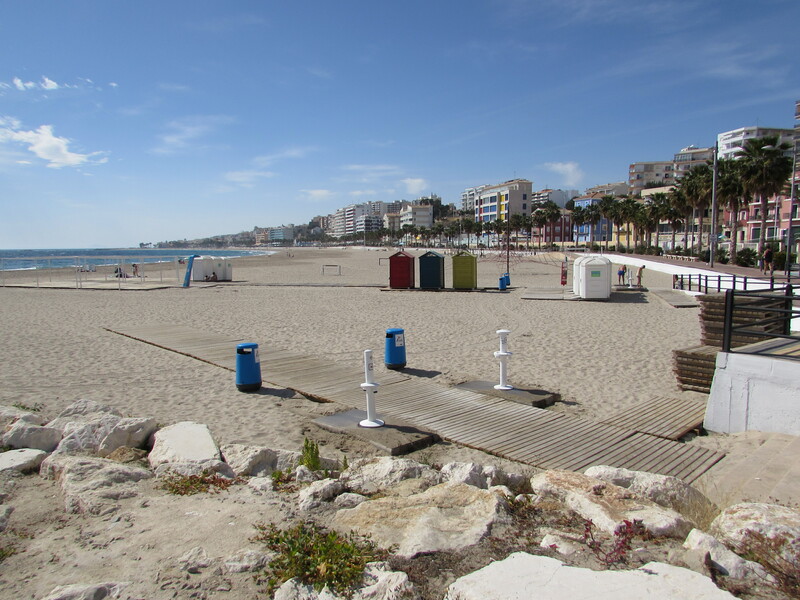 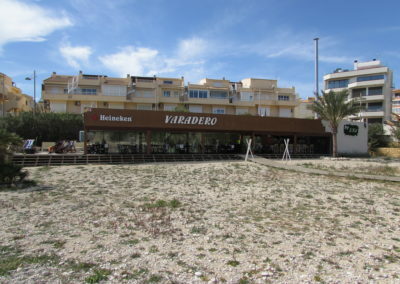 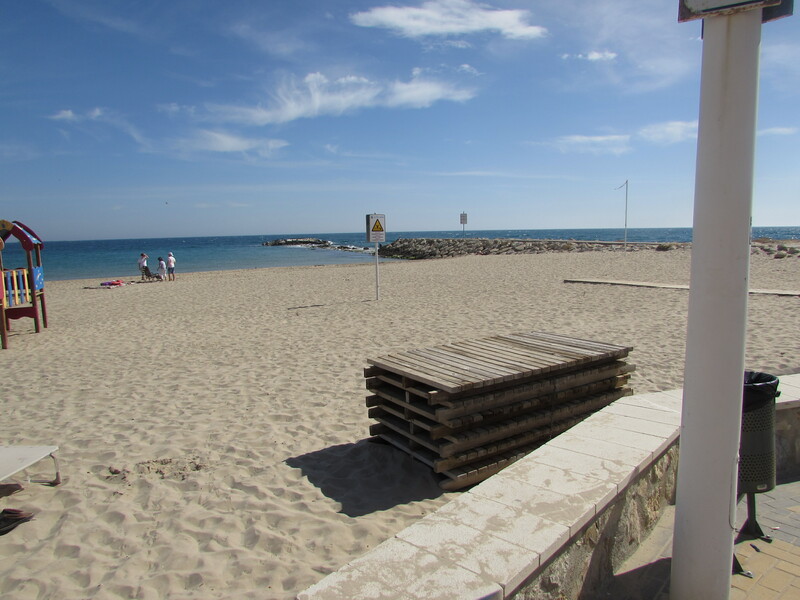 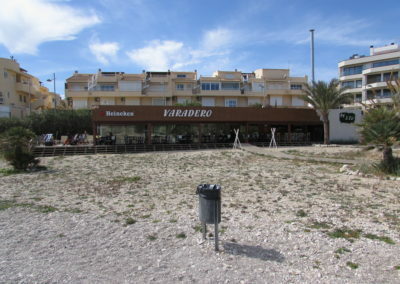 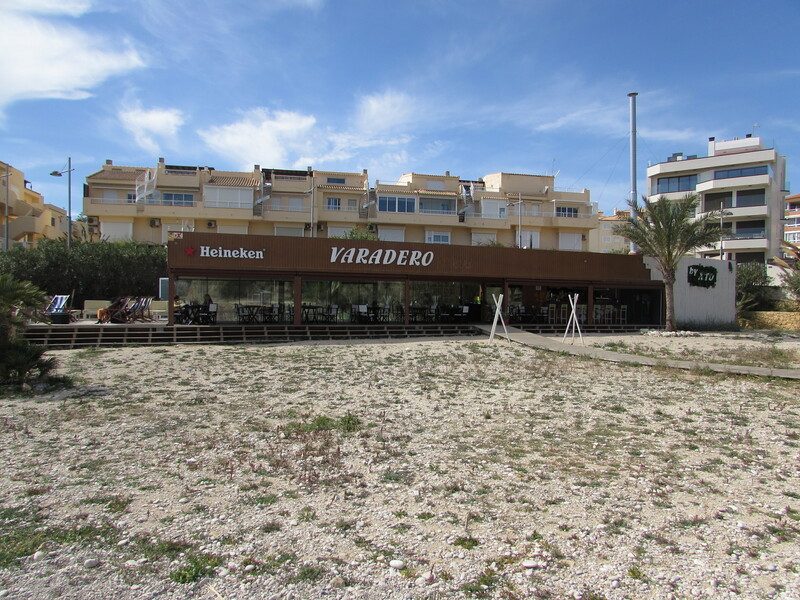 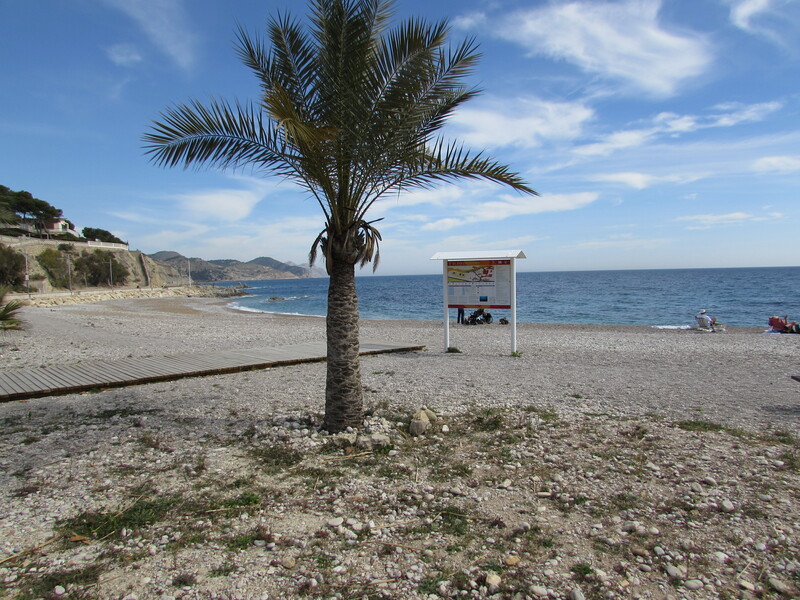 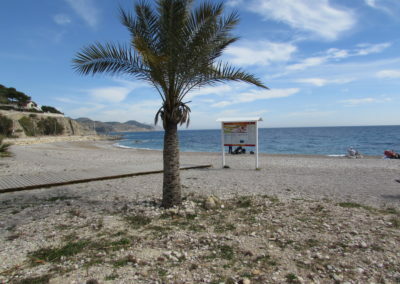 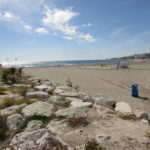 The permanent chiringuito on the Varadero beach, just beyond the Harbour. 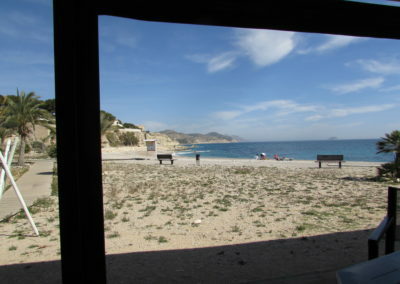 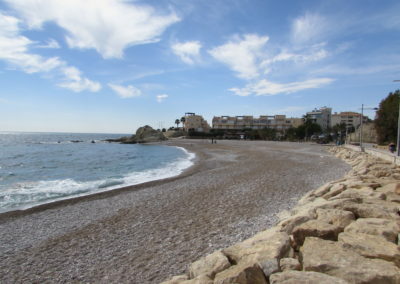 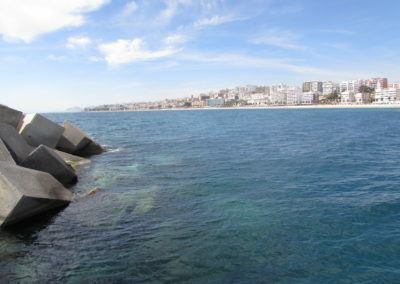 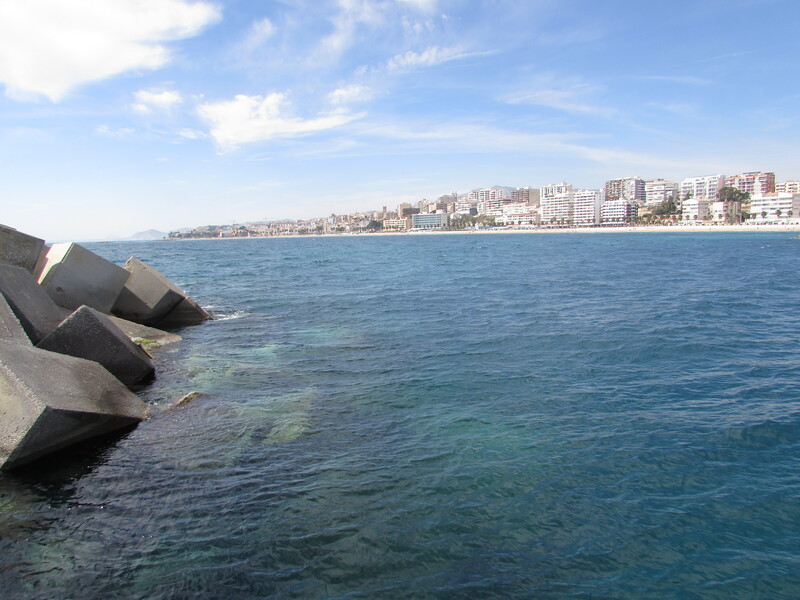 PLaya de los Estudiantes, beyond the Harbour. Playa Central seen from the Harbour. 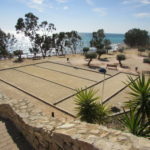 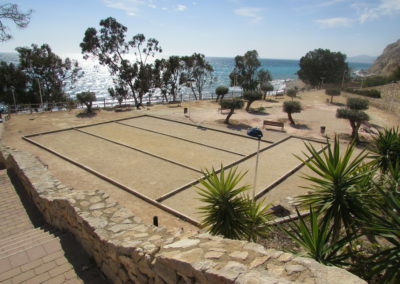 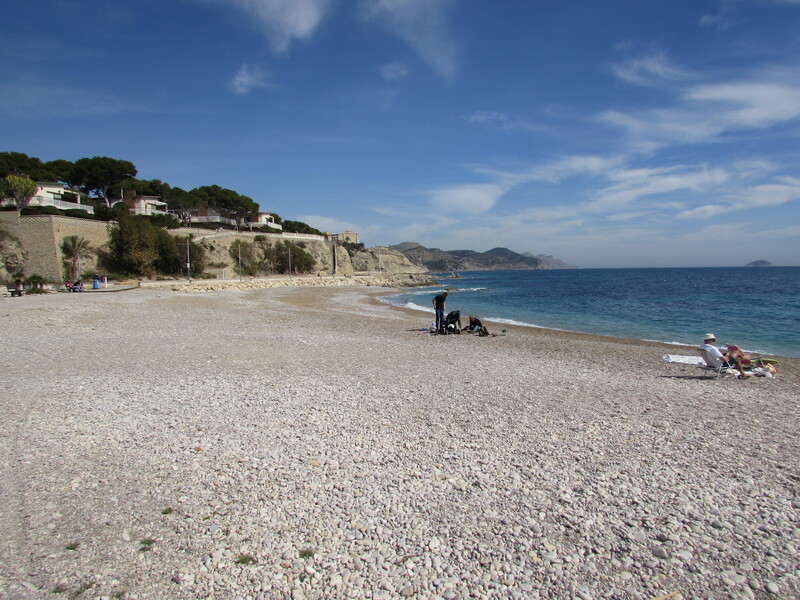 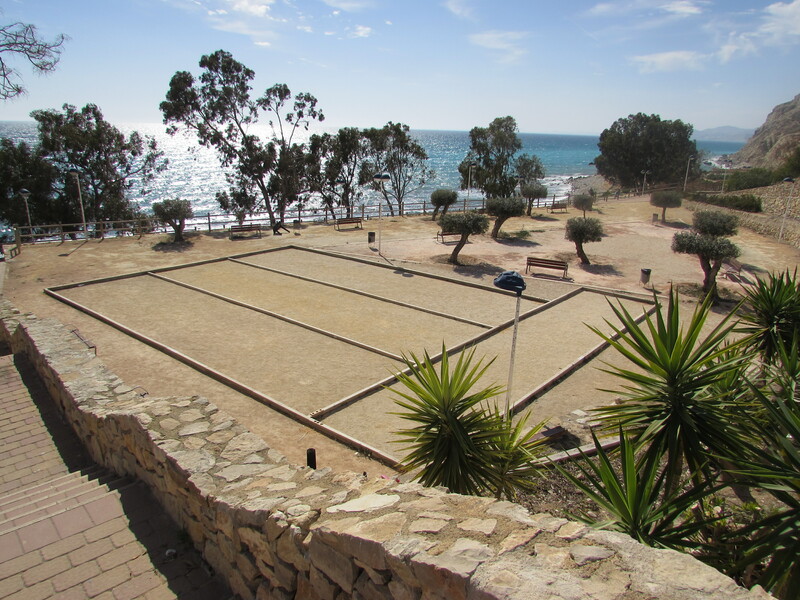 Petanque piste at the Punto del Moro beach.